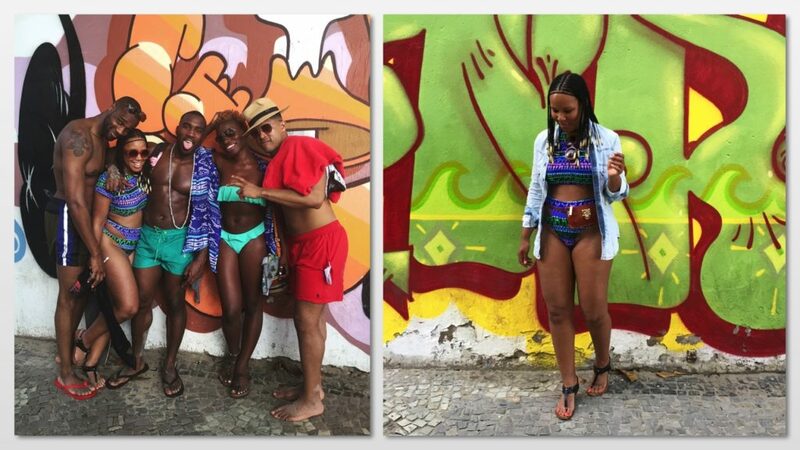 Memo 226: Camp Conrad takes Brazil! If this is your first experience with Camp Conrad, check out the pics from last year here. We do this! 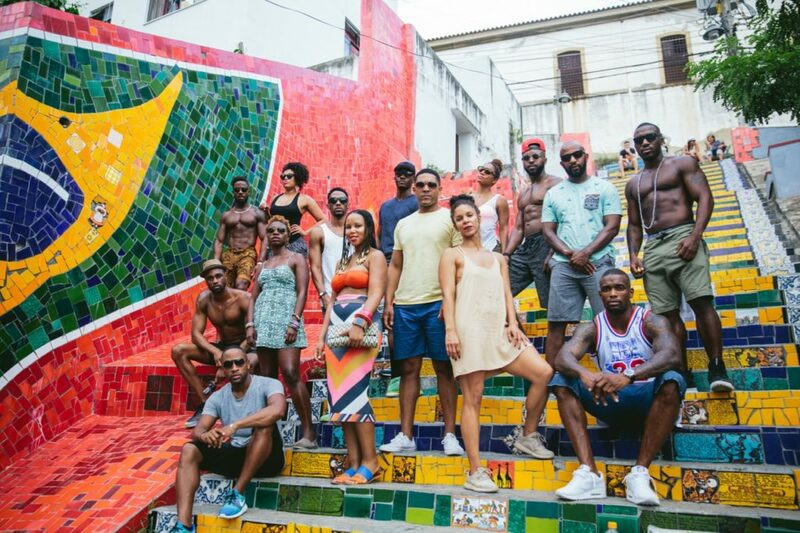 Per norm, when you get the call that tickets to Rio de Janeiro, Brazil are $450 roundtrip out of LA for the following month, you don’t ask too many questions. Book the ticket and figure out the rest later. Yes, it was quite the scramble to get Brazilian visas within a month’s timeframe but it all werked out. Seriously, these random flight deals are giving me all the life that I’ll ever need! Now, if you’re following me on Twitter, you’re well aware that most times, you get what you pay for. Our departure tale is one for the book. So much so, our friend James Bland created a Twitter story to chronicle the utterly ridiculous experience we had with American Airlines. 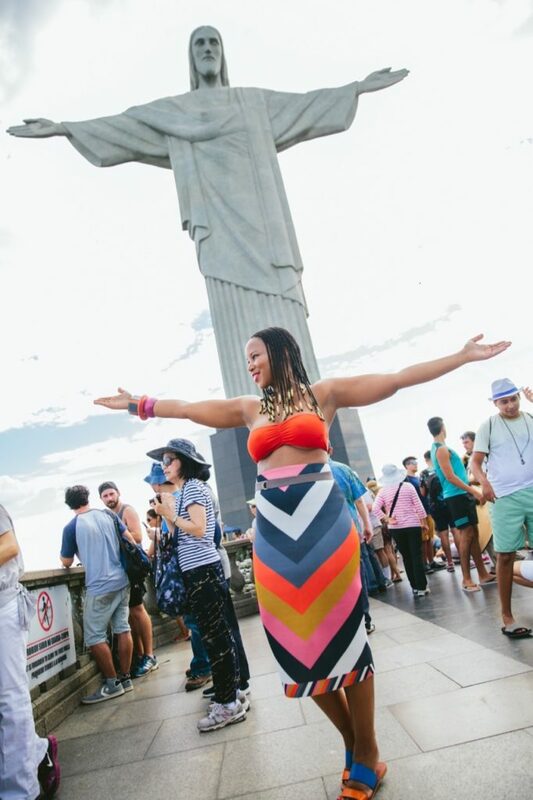 With open arms at one of the New Seven Wonders of the World, Christ the Redeemer in Rio de Janeiro. Trust me this statue is slightly overwhelming in person and no one warns you about the amount of sweat that it requires to walk the stairway to heaven. We were soaked! 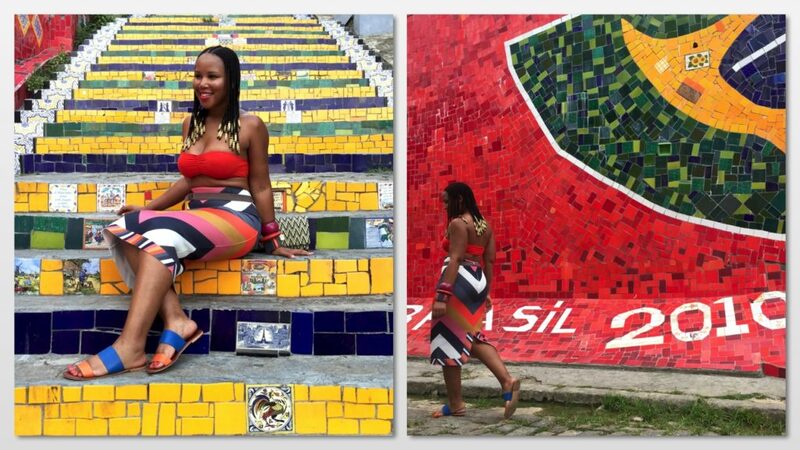 Of course, we took pics on the Escadaria Selarón also known as the Selarón Steps or Lapa Steps. What you don’t know before you get to these steps is how high these babies go. There are approximately 250 steps. It’s literally steps on steps on steps! For the tourist excursions and the amount of required walking, these ASOS slides were a must! 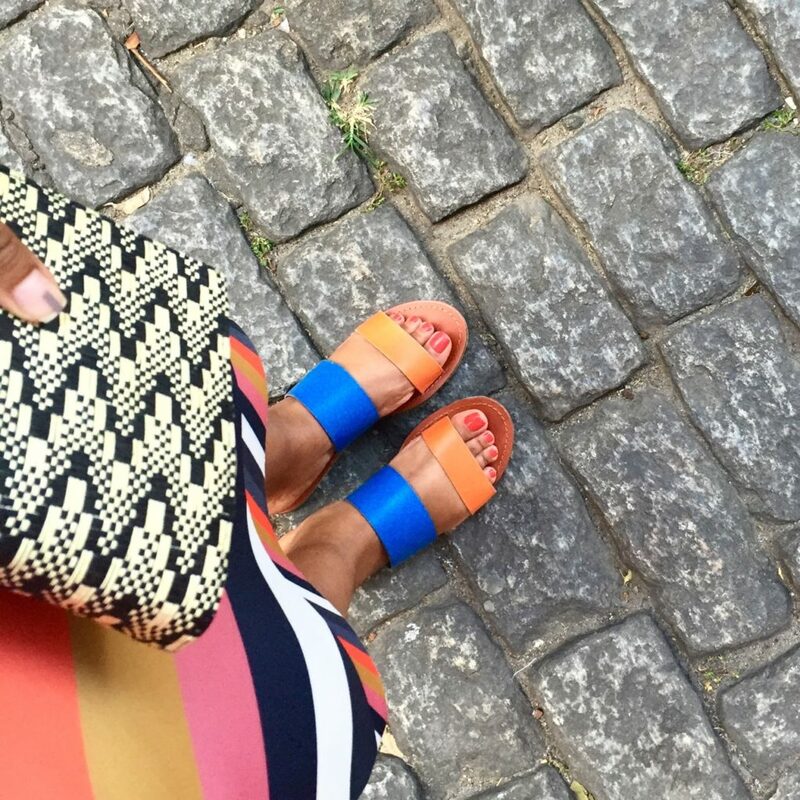 When I think of Brazil, I think of bold colors and rainforests. So, I packed accordingly. Well, I packed for the colors not so much for the rainforests. 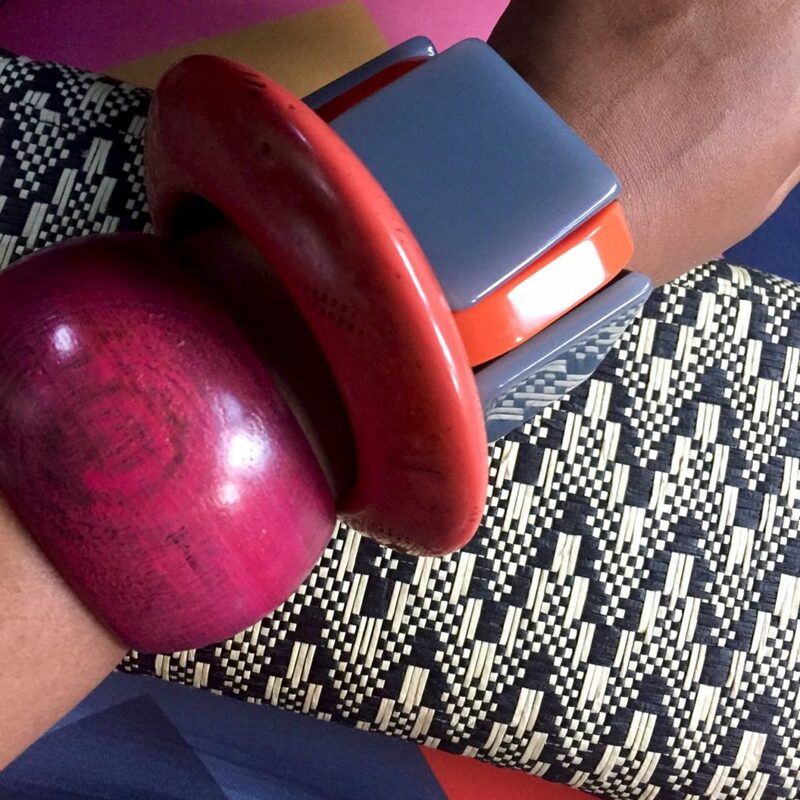 A few pieces of delicious arm candy! Rio had two major beaches, Ipanema and the famous Copacabana. We frolicked often on the Ipanema side. Street art and murals run rampant in Brazil. You all know how much I love a good graffiti background. 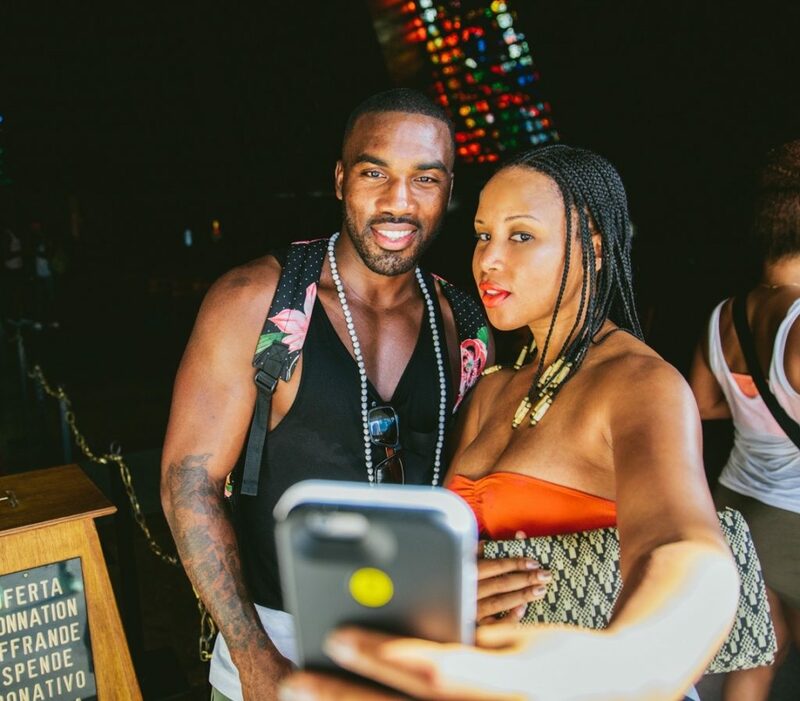 Selfies and us-ies were in full effect. Here’s one with the birthday boy at The Metropolitan Cathedral of Saint Sebastian. and sandals of the second look I prefer! Beautiful pics. You look stunning! I am also commenting to let you understand what a brilliant experience my wife’s child obtained studying your webblog. She realized a lot of pieces, most notably what it is like to have a very effective teaching mindset to make other individuals effortlessly know just exactly various multifaceted things. You actually did more than our expectations. Thank you for supplying these beneficial, safe, educational and as well as easy tips about this topic to Tanya. I together with my buddies were found to be following the excellent techniques located on your web page while before long came up with a terrible suspicion I had not thanked the site owner for those strategies. Most of the young boys were certainly stimulated to read through all of them and have in effect definitely been taking pleasure in those things. I appreciate you for turning out to be very considerate and also for opting for these kinds of fantastic information most people are really desperate to discover. Our own sincere apologies for not expressing gratitude to you earlier. Thanks so much for giving everyone an exceptionally brilliant opportunity to read articles and blog posts from this site. It’s usually very pleasurable plus packed with amusement for me personally and my office fellow workers to visit the blog at the least thrice in a week to learn the latest stuff you have got. And indeed, we are always contented concerning the stunning things you give. Selected 4 points in this article are in reality the very best I have ever had. I am also writing to make you understand of the fantastic experience my cousin’s girl found going through yuor web blog. She came to understand numerous things, not to mention how it is like to have a very effective giving spirit to make other individuals without difficulty master a variety of complex subject matter. You really surpassed our desires. I appreciate you for providing these necessary, trustworthy, explanatory as well as cool tips on your topic to Janet.